Beards are fantastic, and those who can grow one that can get out of hand easily are blessed; however, not all of our jobs allow us to have a crazy beard. That’s where the best beard trimmer comes in handy! If you’ve finally grown out your beard, and you have no idea what to get for a beard-specific trimmer, continue reading, as we’ll let you know the benefits of buying a beard trimmer, factors to consider before purchasing, tips for choosing the best, and the differences between a beard trimmer/nose hair trimmer from a normal hair trimmer. There’s a lot, but we think you’ll learn an equal amount. If you’re someone who wishes they could grow a cool beard, then you may not want to invest in a beard trimmer, as it won’t actually make you grow any hair; however, those that have bigger and bushier beards should surely invest in a beard trimmer. Knowing the fullness or potential length of your beard will help you ultimately decide on whether to invest in a beard trimmer or not. Length of your beard – yes, this is important, even if you’re going to trim most of it off. Whether your hair is short and stubble, or you have a wizard-like beard that you’re (crazily) taking some off of, finding the perfect trimmer is imperative, or else you may ruin the length or hair within your beard, forcing you to cut most of it off. Cordless or corded – While cordless is the most convenient, if you don’t want to have to worry about charging or batteries, and don’t really have to, then you should look at a corded device that you can store under your bathroom sink. Additional features – If you’re looking for something that’s a combination device, you’ll want to make sure that it’s not JUST a beard trimmer when you’re looking to also trim your nose hair or ear hair. Don’t EVER try and place a trimmer in places that they aren’t recommended for – it may end up terribly for you. There are a few tips to you need to know before buying a beard trimmer, and these go far beyond how you should trim your beard, and give more into the actual device, as well as what to look for. There are a variety of attachments to look for depending on the blend you desire for your beard and accessories for the device. Rechargeable versus Battery: The aforementioned could go either way, both have their advantages and disadvantages, but if you like something that you can take quickly with you on the go, a rechargeable is perfect for those business travelers who want to be in tip-top shape before their next big meeting. Just because you’re camping out in a hotel room, doesn’t mean you have to look like you’re on vacation! If you’re someone who uses at home, a battery may suffice. Cutting heads: Each type of cutter comes with the option for additional cutting heads that may change the shape of the hair you’re trimming, or how easy it is to trim this specific hair. Typically, you want to go with something that’s a type of stainless steel or sharp titanium for the most efficient trim possible. Additional spotlight: Nifty models of trimmers may come with a built-in spotlight, so you’re able to see what you’re doing instead of just winging it. We understand that beards are precious and one screw-up can change your entire appearance. Ask your closest lady friend how important beard business is and how “manscaping” is just as important as a female’s eyebrows. You’d be surprised at how much it makes a difference on how others see you! Unlike other products that you may have seen, you can charge the Remington MB4045B within a short 4 hours and receive 2 hours straight of precision cutting time. This is due to the fantastically powerful lithium battery – no cords needed! There’s also a zoom wheel included – all you have to do is lock in and begin using. The zoom wheel ensures that you can adjust quickly and securely. Precision has never been easier. As for the blades of this trimmer, there are three lengths – an under-control length, full, and even tough for those with coarser beard textures. The detail trimmer ensures that you’re going to receive precision control for those tough areas like your sideburns and underneath your chin. The most impressive part of this trimmer is the fact that you only need to charge for four hours, and you’ll be able to use for two hours straight. While most people don’t need this for two hours straight, if you’re someone who does this as a side-business or someone that doesn’t want to have to worry about charging (for those that trim frequently) – this is perfect for you. There aren’t too many disadvantages, but if you want a corded product, you’ll have to look elsewhere, although you can get a lot of time off of one charge from this device. Integrated vacuum system for catching most (90%) of the hair – no more messes! If you want a device that’s going to clean up your mess for you, you’ve found it here! The aforementioned from Philips Norelco uses a type of vacuum system that catches the hair after you’ve trimmed it. For those that are businessmen on the go, this is a perfect solution for cleaning up before that big meeting where you’re not only selling yourself, but your product or your idea. Other than what we’ve mentioned, there are self-sharpening steel blades for precision cutting, and you don’t have to worry about skin irritation, as these are meant to guide and cut more while reducing how harsh it takes out the hair from the pores. One of the selling points that I can’t get over is that it’s also a vacuum for catching the hair that you’ve already passed over. How efficient and great is this? Especially for those lazy trimmers like myself. If you think emptying out the vacuum portion is more trouble than it’s worth, then you may want to find something else, although, we think cleaning a sink full of hair may take longer than investing and using this tool! If you’re looking for precision, you’ll find it here within this Braun device. Featuring 39 different precision settings, those with even the toughest texture of beard hair will be able to glide through with ease. There are 0.5mm steps included within this, as well as ones that go to 20mm for the choice in precision that works for you. This device is also waterproof, so you don’t have to worry about taking off attachments and washing separately from the unit. It’s worth noting that one 8-hour charge gives you around 60 minutes straight of precision cutting time. While we don’t think you’ll need all that for a trim, we think the boost of power is good to have. There are a number of advantages that are attractive, and we think our favorite advantage is the number of precision settings that you’re able to toy around with. Whether you want to fade or completely trim, you’ll be able to do so at your own discretion without having to worry about messing up. It’s also worth mentioning that this unit is quite flexible, allowing you to have total control. The only disadvantage that we can pinpoint is that it doesn’t come corded. If you’re someone that doesn’t want to deal with charging and playing that “what if” game of “is it charged?”, then you may want to look at another equally reliable unit from the brand. You’re probably wondering: if this product is so great, why is it so inexpensive? We think that this is a brand that caters to needs, as well as those that may be on a budget. Featuring an affordable, yet powerful lithium-ion battery, you only need one hour of charging in order to get 2 hours of runtime – that’s much better than any posted on this review list so far! The precision length settings include a range of 0.5mm to 10mm – also known as 1/32 to 13/32! We love that this is washable, and we don’t have to go to extra lengths to avoid water. I don’t know about any of you, but I almost constantly have the water running when trimming up! Beyond this, you’re able to use the included beard comb for a reduction in irritation you may see on your skin. We can’t really think of any – even if you’re a corded fan, as you get double the runtime off of barely any charge. We think most people can benefit from using this device. There’s a lot to say about this unit – and one of them is that the ergonomic grip is fantastic for those that may suffer from carpal tunnel or bone issues where it hurts to use your hands. Beyond this, you can use this not only cordless, but also corded, which makes it fantastic for any type of user. The 45-degree angled stainless steel blades are fantastic for precision in your trimming – you also won’t have to worry about dulling shortly after. If you’re someone that’s been looking for a corded unit, you can benefit from using this device as well, as you have the option to charge and use cordless, or use corded. Whether you trim at home occasionally, or you’re someone that needs this often for business-related ventures, you’ll want to invest in this one. If you’re looking for more precision variety and want more than 19 settings, you’ll want to check out others on this list, although not a true disadvantage, some people expect more! If you’re looking for something powerful, that can be cleaned with ease (and without having to worry about it not being waterproof), you’ll want to look towards this fantastic Philip Norelco model. Other features include the hair clipping combs being included, as well as 17 built-in settings for precision on a budget. The ranges of the blades include 0.4mm to 13mm, and you’ll even get to reap the benefits of a zoom wheel for automatic locking! There are way too many to list everything, but the fact that there’s a zoom-wheel, and a battery that allows you to use this device for 70 minutes straight off of one charge, is fantastic. The charge time only takes one hour, and you get to use it for more than that time. Those who need something quick as they travel (whether for pleasure or for business), you’ll definitely want to invest in this beard trimmer. If you’re truly adamant on not investing in a cordless device, then you won’t want this one. Maybe you’re someone who wants more precision features, although we think 17 is more than enough for you to get started. The DualCut technology ensures the usage of 2x more steel blades that sharpen themselves as they power through your hair. With 18 attachments and boasting all-in-one combination features, you’ll be able to use this for everything – and all at once. One of our favorite aspects of this device is that it’s an all-in-one trimmer. There’s no need to use a plethora of devices to manscape yourself, and you’ll be able to use this on everything all in one go. Featuring DualCut technology, you’ll be able to have the precise trim you’ve always wanted. If you’re looking for more power in just a beard trimmer, you may want to go for one that caters specifically to beard trimming, rather than a lower quality for an all-in-one device, although we think it does a bang-up job! At the end of the day, we think that the best decision is the Braun BT3040 – the ultimate beard trimmer with more than 35 length settings. Never compromise on precision ever again when you receive this combination package! Manufactured by Braun, this inexpensive option is highly-rated and well-perceived amongst the public. 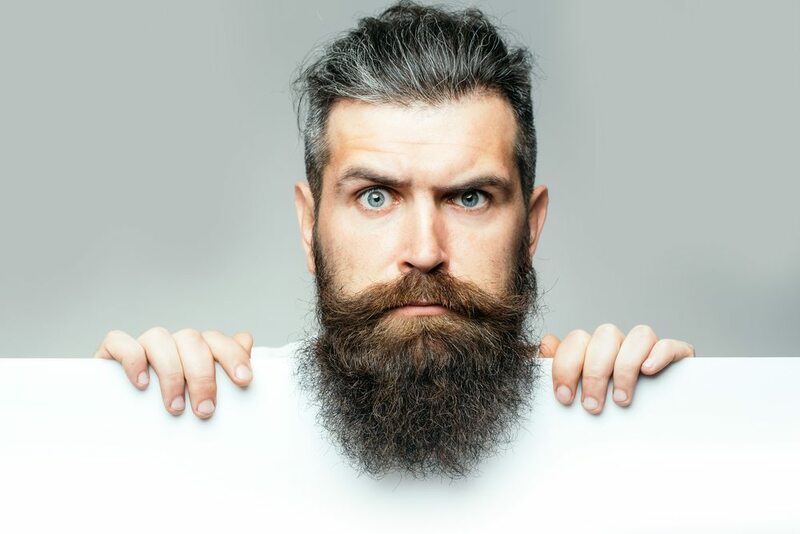 It’s no secret that a beard trimmer will help you clean up those rogue hairs and bumps when you’re trying to look your best, but still rock your lumberjack manliness. With that being said, one of the major benefits of using a beard trimmer over any other hair trimming device is that you’ll be able to cater to your beard texture and clean up those areas. Another benefit, that was slightly mentioned in the previous sentence, is that you’ll be able to cater to your beard hair, which generally has a much different texture than the hair on your head or in your nose. Beard hair tends to be tougher and has a stronger and thicker texture – it’s important to find a tool that will be able to plow through that without shaving it all off. Being able to get into those crevices of your crazy beard will allow you to maintain your beard status without taking it entirely off. Another advantage of using a beard trimmer is that you’ll be able to maintain the longevity of your other hair cutting devices. When you’re overworking one device and putting it up against the toughest textures, you may see that the performance will decline over time – and rather quickly. I recently found a piece written by Malesgroomings on beard trimmers that is worth the read (for those interested). you can read their long and thorough reviews on their website. While closely related, a beard trimmer and hair trimmers are for different purposes, therefore the guide and blade sizes will vary. When using the wrong guide or blade size, you may cut your skin or find yourself having to shave off the rest of your beard because of a screw up. Clippers (hair trimmer) is meant specifically for cutting longer hair that have attachments for this type of hair. As we previously mentioned, the texture of normal hair and beard hair are much different. The overall blade design may be different, too, depending on what model you purchase.